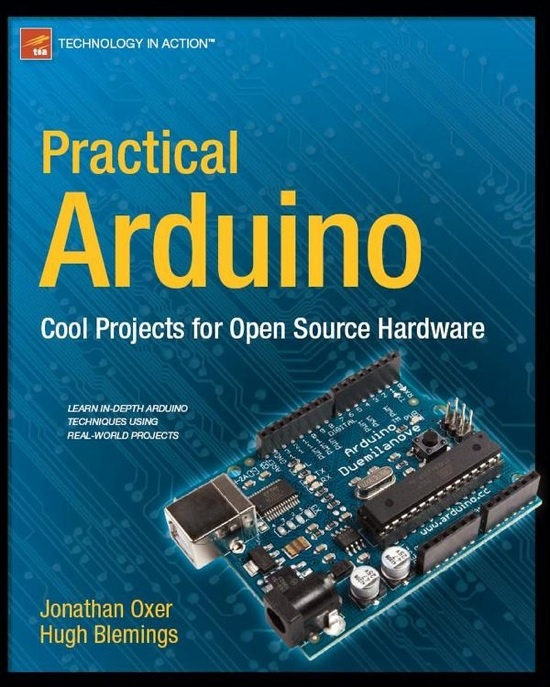 BACK IN STOCK – Practical Arduino (Jon Oxer & Hugh Blemings) « Adafruit Industries – Makers, hackers, artists, designers and engineers! BACK IN STOCK – Practical Arduino (Jon Oxer & Hugh Blemings). This book is best used for people who’ve gone through our tutorials and want more! Please note that the book does not come with any electronic parts or hardware. You’ll probably want an Arduino starter pack or similar so that you have the Arduino, USB cable, power adapter, wires, and a protoshield.